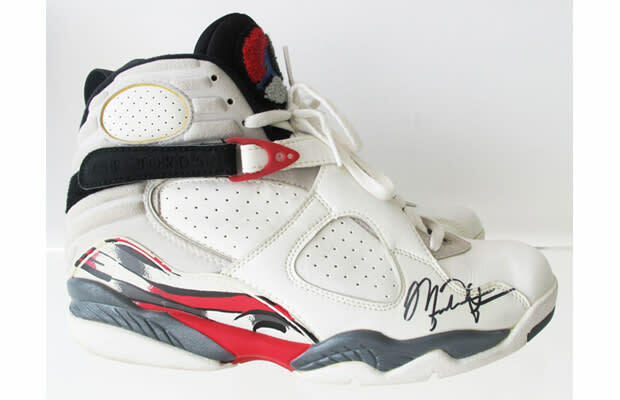 For just a penny more than the Miners, you can buy a pair of Air Jordans worn by the man himself during one of his championship (and one of his final) seasons. If we were to purchase these, however, we would want more proof than just someone with under 100 feedback asserting "game worn." Some sort of letter or other authentication would be a good place to start.